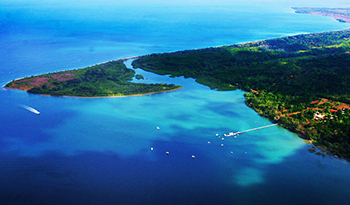 Golfito is a rarely visited town that sits on Costa Rica's South Pacific Coast. With the beach at its doorstep, and lush, green mountains arriving nearly to the shore, Golfito boasts an ever dramatic landscape. Known to locals as the best place in the country for low cost shopping the government has declared it a duty-free zone international travelers tend to come for an entirely different reason to enjoy what is considered to be Costa Rica's best sport fishing. There is an exciting variety of real estate options available in the Golfito area. There has been a growing interest in refurbishing the wooden homes built in the early to mid 21st century for the banana company employees. Old mansions are being updated to modern standards, and the merger of old and new architectural and design elements is stunning. Traditional, Costa Rican homes are also available, along with a variety of vacation rentals in many different styles and budgets. Highly desirable lots offer investors the opportunity to build luxury homes from the ground up, with ocean views and a lush jungle setting as their backdrop. Investing in Costa Rica is entirely unique when one chooses Golfito. This quiet town is poised for resurgence. 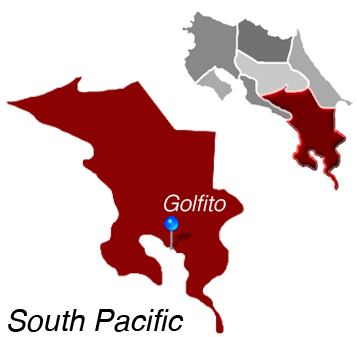 Golfito is Located in the South Pacific.